The University Division is open to all college and university students. “The Competition is an excellent way to get a head start on your career and profession.”, says Michael Andrews, president of the SMART Competition and Managing Partner of Andrews & Associates. “Teams use the same tools and face the same design challenges as over 800,000 engineering and architectural professionals do every day.” The software is donated for the competition by Bentley Systems (www.bentley.com). 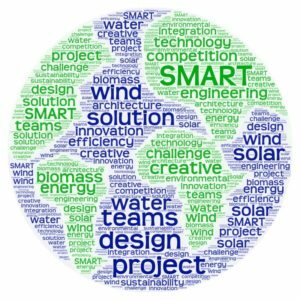 The Competition is an excellent educational program that compliments studies in sustainability, LEAD design issues, and renewable power generation. The competition is open to all high school and university students. The competition is designed to attract all students without regard or bias of gender, race, socio-economic or academic performance level. The SMART Competition (www.smartcompetition.org) is a global STEM and Career and Technology Education (CTE) education program for high school students. Registration for the competition began in September. Teams are receiving data files and the virtual model details. According to Mark Schneider, Global Technical Director – User Workflow Adviser of Bentley Systems, Bentley Systems, “the information that the student teams use is the same type of data engineering professionals, architects and designers are using everyday”. The Competition is an excellent educational program that compliments classroom learning objectives. The program promotes the application of sustainability, green building design, energy efficiency, renewable power generation and provides the students with the ability to create innovative solutions to a real-world challenge. The competition is open to all high school students who attend public, private, parochial, charter and home-based schools or participate in informal education programs. The competition is designed to attract all students without regard or bias of gender, race, socio-economic or academic performance level. The SMART Competition timeline has extended the entry deadline 2/22/2019. 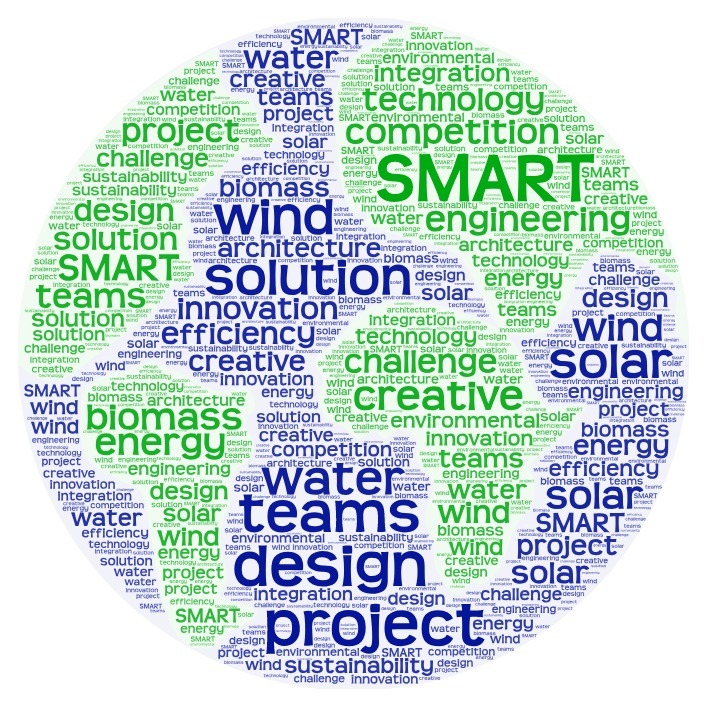 In response to requests from our participants The SMART Competition timeline has extended the entry deadline 2/22/2019. The SMART Competition is recognizing Mission College Prep Catholic School and Teacher-sponsor Ms. Nancy Alcombright for Educational Excellence in this year’s competition. Ms. Alcombright had a record six teams participating in this year’s competition. Two of the six teams finished the required deliverables and made their team presentations earlier this week. One of the teams won 2nd Place and another won Honorable Mention in the global competition. Mark Schneider, a co-founder of the SMART Competition and Bentley Systems Technical Director, Integrated Lifecycle Solutions said the “students exceeded the learning objectives of the program. The student teams that made their presentations demonstrated an understanding of energy, sustainability, collaboration and problem solving”. Ms. Alcombright also provided competition organizers with student feedback that will be used in next year’s competition. Some of the design changes they made ranged from rotating the building to utilize a modified roof design and adding better shade trees to reduce the heat gain in the building. The also improved the efficiency of the HVAC system by using water source heat pump systems and introducing an efficient saltwater battery system to the campus. In addition to team member awards, the school will receive a $500 donation to support its STEM and CTE programs from Bentley Systems. The design changes they implemented were planned to increase the overall reliability of the equipment and building systems while reducing the costs of operating their school of the future. One interesting research finding noted by the students was that using wind energy would have been less efficient and noisier on their campus. According to Natalie, “We selected solar power because of the expected efficiency supported by Swanson’s Law”. Like Moore’s Law in the integrated circuit and computer chip manufacturing world, Swanson’s Law states that solar photovoltaic modules drop in cost and double in output efficiency every ten years. For additional information, contact Mike Andrews, m.andrews@smartcompetition.org. We’ve added some notes about ASHRAE (the American Society of Heating, Refrigerating and Air-Conditioning Engineers) in the lesson narratives. If you have any questions regarding heating and cooling, ASHRAE representative Colin Laisure-Pool has agreed to be a contact person. He can be reached at clpool@gmail.com.